As it happens, we’re also the family with the least furniture – we sold most of our cheap “first time homeowner” gear when we left NY, with the intent to buy new furniture for several rooms of our new ME house. When the summer began to wind down and his house began to clear out, Grampy insisted on giving us some furniture. I was a little hesitant at first because “vintage” or “retro” wasn’t the style of furniture we has planned on. But as time went on, I realized that it was a cool opportunity to own a piece of family history, as well as some interesting pieces. It wasn’t until I got them home that I realized exactly how interesting they were. 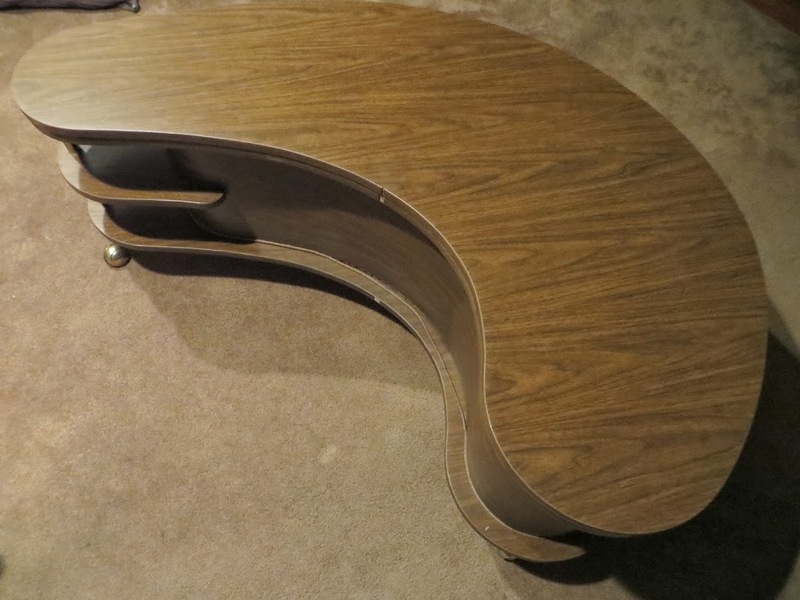 Most quirky was this funky curved coffee table with a swiveling top and spring-loaded pop up bar. It really, really wasn’t my style, but I knew we were taking it home when I saw the look on Aaron’s face as Grampy revealed it’s fun features. OK, I’ll admit it, I thought that was pretty nifty too. And it isn’t as though we were able to say “no” to Grampy anyways – trust me, we tried on several occasions. First it’s a cocktail table. Then it is a bar! Grampy told me the bar was from the World’s Fair in the 60s, which was very cool and made me want to learn more about it. I got on Google, armed with the knowledge that it was at the Fair and a rough description. After trying a couple of different keyword combinations and scrolling through countless Google images, I discovered this was the “AH Stock Grand Server” – AKA the Boomerang Popup Bar. Still having such a noteworthy piece seemed lucky, and it turns out I was right. Shortly after we brought it home, I learned it was involved in some family strife that threatened to send it rolling down the streets of Peabody, Mass. many years ago. Life in a basement hadn’t been too hard on it, with the veneer edge only pulling back in a couple of places and the decorative rope coming loose on the inside curve. I looked up a recipe for natural furniture polish (olive oil and lemon juice) which gave it a nice quiet shine and wouldn’t hurt the pups when they gave it an experimental lick(which they immediately did). The server currently lives in our den, ready for a sofa to join it so that we are cozy up with drinks by the fire. 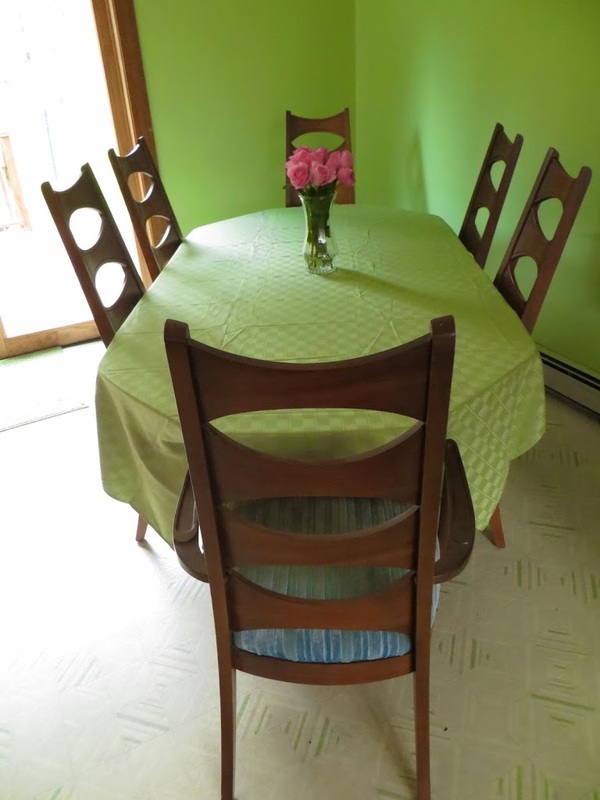 The other items we inherited were a set of dining chairs, table, and china cabinet. The cabinet was part of my experience at my grandparent’s home as it was kept near the breakfast table and held the latest family pictures on it’s open shelves. The table and chairs had always been the “fancy set in the corner” that the kids didn’t touch. It took a little adjusting to think that I would actually be using these pieces in my own home, after decades of “display only” use. 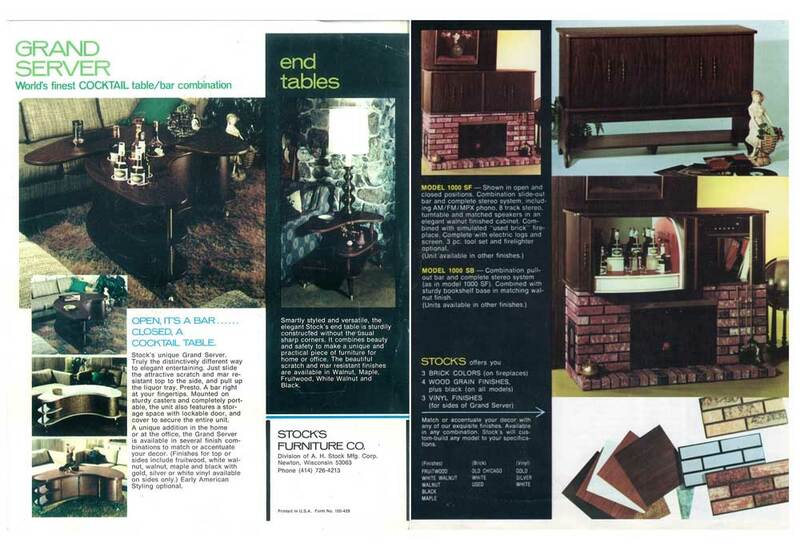 I did some more Google detective work and discovered that Blowing Rock Furniture Industries made this particular set for the Kent Coffey “Perspecta” collection in the 1960s. 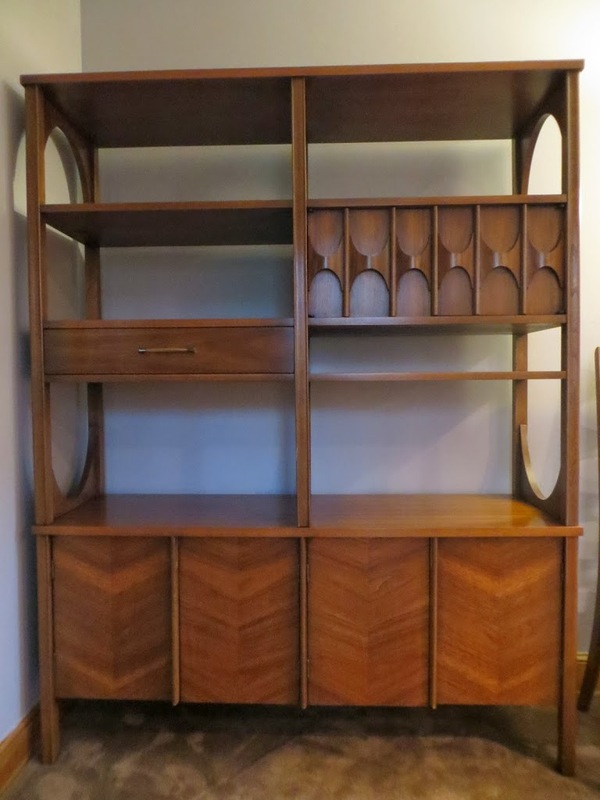 The china cabinet is actually a room divider that is supposed to be a rare piece. It is in near-pristine conditions with just a couple small nicks and scuffs in the lovely rosewood and was already gleaming when it came home with us. Looking a little naked without family photos. 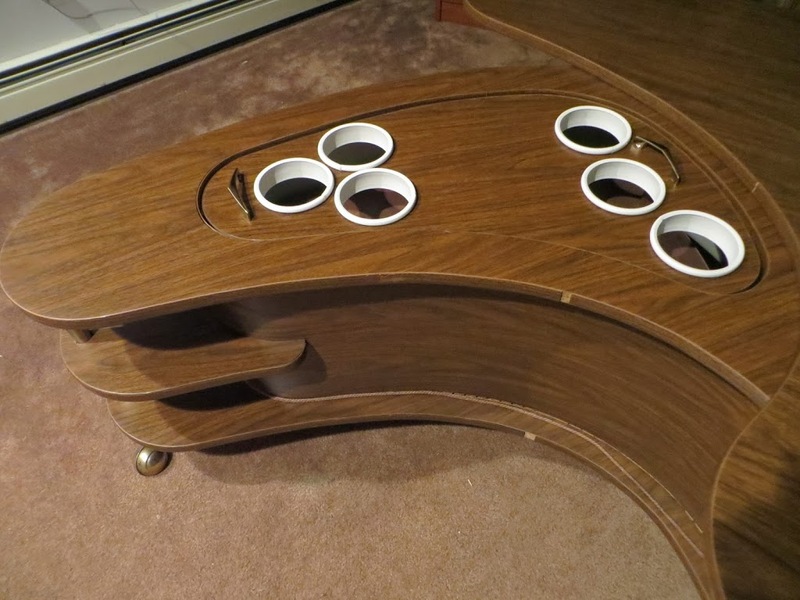 I wasn’t able to find labeled photos of the table, which is an octagonal split-pedestal with 3 (!!) expanding leaves, I was able to find photos of the chairs on a vintage furniture hunter’s blog, which is what lead me to discover the “true” brand name of the pieces. Set up for actual use at our house last week. The other side effect of Grampy’s generosity is that we finally had enough seating to host a monthly family dinner with the other half of my family. 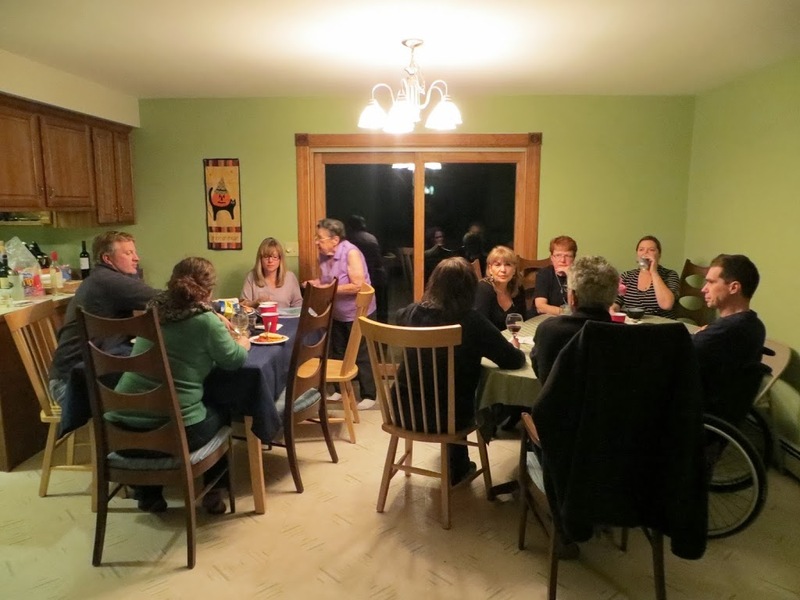 While the idea of serving spaghetti on the “good” chairs was still a little unnerving, it was wonderful to have both the room and the seating to spend the evening with the Hilton clan. I felt a little bad that I didn’t get this post up right after the event, but I think it is only fitting that it didn’t go up until November. In this Month of Thanks, I am grateful for my gruff but wonderful Grampy, my large and slightly less empty house, and the family that came to fill it up with love and laughter for an evening.